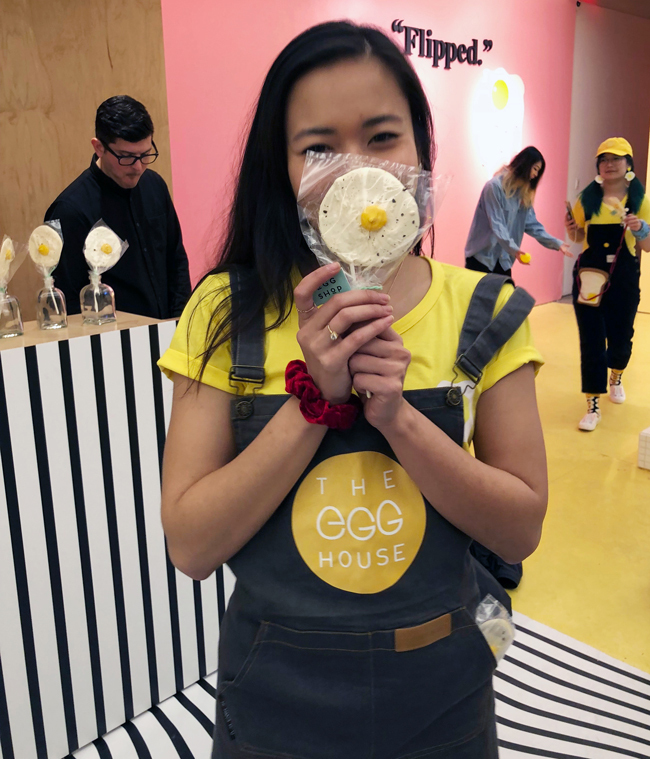 Last year we had the Ice Cream Museum and now The Egg House has landed in New York City. 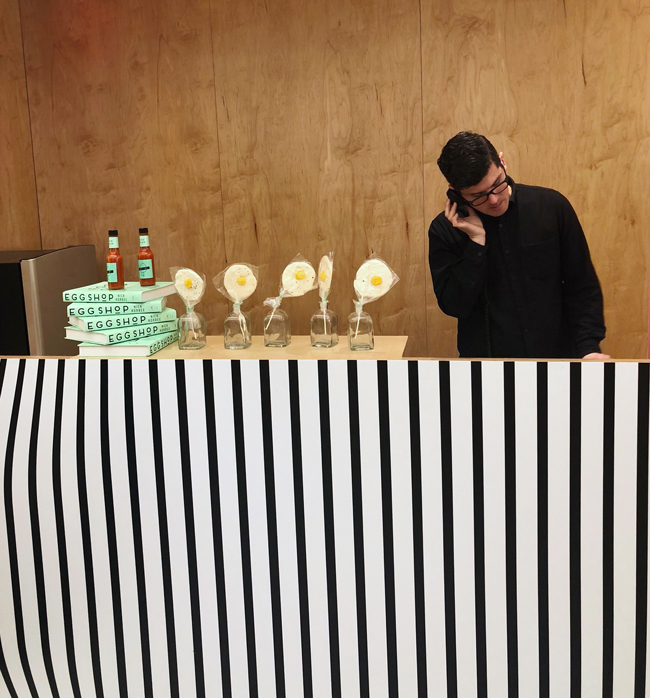 I attended a press preview of the latest popup just ahead of it's grand opening last week. 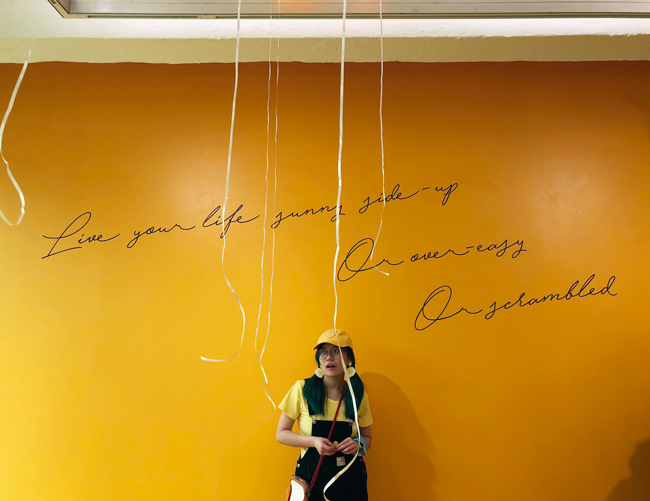 Located on the Lower East Side, the "museum" aims to provide a momentary escape from the every day. The Egg House is the domain of Ellis the Egg. Born from a sunny side flower, Ellis eventually settles in New York on the Lower East Side. 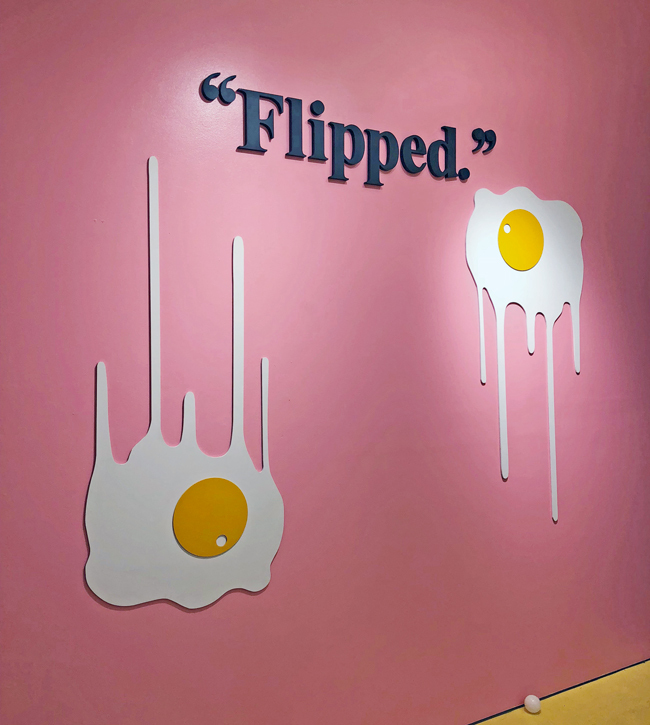 While Ellis falls asleep, guests are invited to explore the inside of the Ellis' swanky pad which just happens to include a handful of colorful, interactive rooms and egg themed exhibits which provide a wealth of photo ops. My favorite room was The Bedroom, an interactive showcase for Ellis. I spied Ellis' bucket list on it's desk and Ellis has visited the Statue of Liberty, Union Square and Chinatown and has just happens to have two masks from Sleep No More. I stayed clear of The Pool which is basically a giant ball pit because that's like germ city. The Garden downstairs has an eerie yet peaceful otherworldly feel. They also have vending machines where guests can use a provided token for free souvenirs. 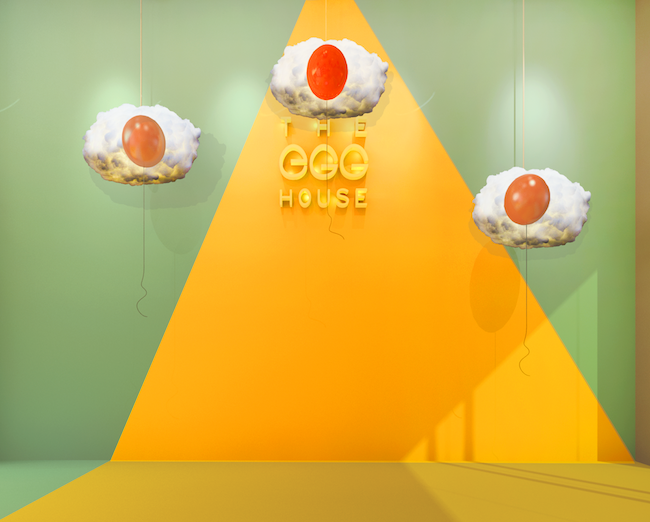 Conceived by an anonymous founder looking to create a fantasy escape from the real world, The Egg House was realized by a collective of creatives, graduates from NYU, Parsons, SVA, and Pratt. The concept is focused around an egg “because it’s universal" and can be a component across a variety of cuisines. While it may interpreted differently, it is infinitely relatable as is the story of Ellis whose name references Ellis Island. Ellis could represent any number of people who come to New York every year. Local favorites The Egg Shop and Eggloo are on hand to satisfy savory and sweet egg cravings and the Egg House team also provides complimentary breakfast treats with coffee in the mornings and eggnog tastings later in the day. And f you haven't had your fill of egg-citement, you can pick up some egg themed accessories in their gift shop before your go. 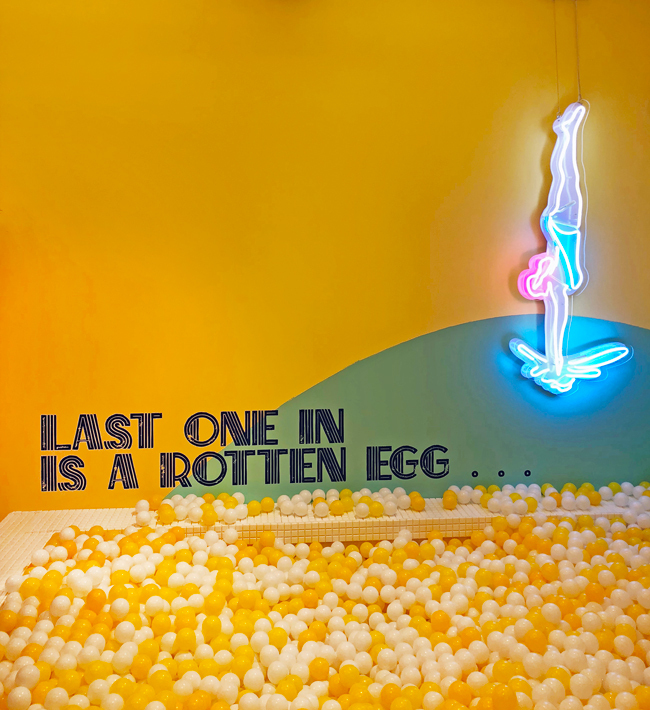 The Egg House is a welcome escape and a fun experience but I wouldn't call it a must visit unless you have total FOMO. The $18 admission fee is a bit much considering the space is rather small and it could be better constructed overall. Still you have to give the team credit for putting it all together. 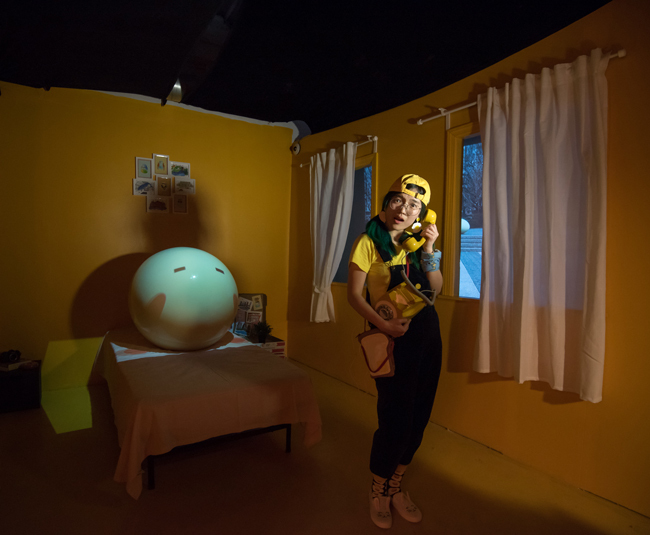 They're planning to take the Egg House to Shanghai and Los Angeles after it's New York run. What a very unique concept and yes, $18 is a little steep but I would pay to see what the fuss is about! The price is ridiculous but the idea of eggs being fun place to visit is funny and I will pay on a holiday like Easter to visit. Have a great weekend. This is just too adorbs for words, chingu. 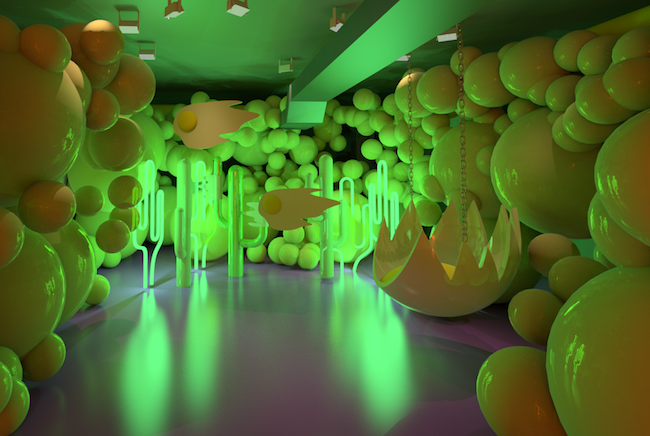 I wish they'll bring this to TO...for a lesser price though:P And not gonna lie...that ball pit is a germ haven for sure but man...it's so tempting!!! And how cute/yummy is that Eggloo dessert!!!! Nomnom! This looks like a ton of fun! I like that you can purchase food and enjoy it there. Thanks for always showcasing interesting stuff for us, Rowena. This place looks so cool. I wish I lived in New York.Nice photos.Have a great weekend. This Egg house sounds like a place worth a visit. 18 dollars seems a bit much for a ticket that doesn't even include anything else, not even a complimentary drink but there is no doubt that it is a unique place, so if I was in the area, I would probably pay it a visit. I must admit that I find the whole place adorable. I enjoyed seeing both your photographs and those belonging to Egg's house. It is a very picturesque place. 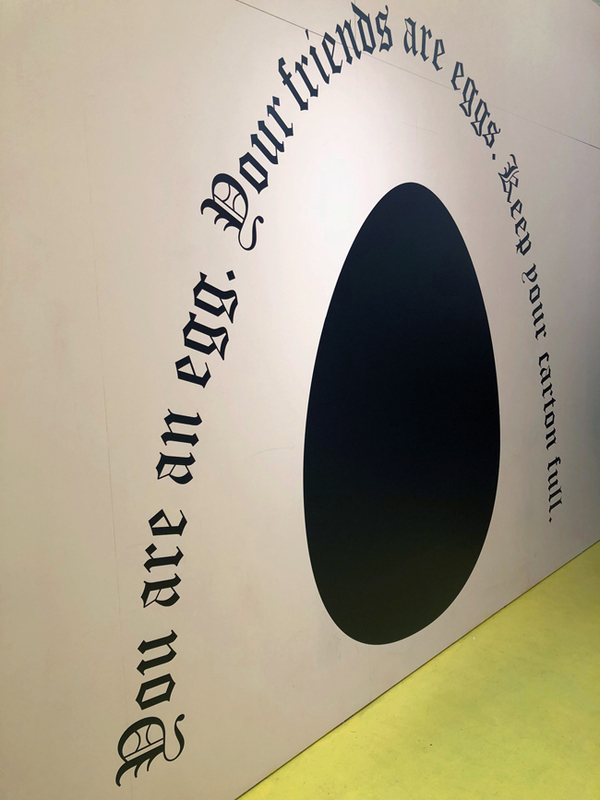 Most mythologies have egg as a part of its world creation stories. I was always fascinated by that. Moreover, eggs are a part of most cuisines. They connect us all, one could say. This is honestly the coolest thing ever. I didn't even know places like this existed, they seem so random yet as if they would be a lot of fun. What a crazy idea haha. Your photos show it off perfectly and now I really want to travel there myself lol, I feel like it'd be such a great way to spend a day. That sounds... weird. But interestingly weird. What a cute place! If I have time, I will surely visit it. Such a lovely place it is. Love the unique concept. And what a fun place! What a weird concept! It's nuts how some people come up with stuff like this! Wow, this is super beautiful you must have really enjoyed it. Wow, very unique! Not sure I'd visit for 18$ but it does look fun. 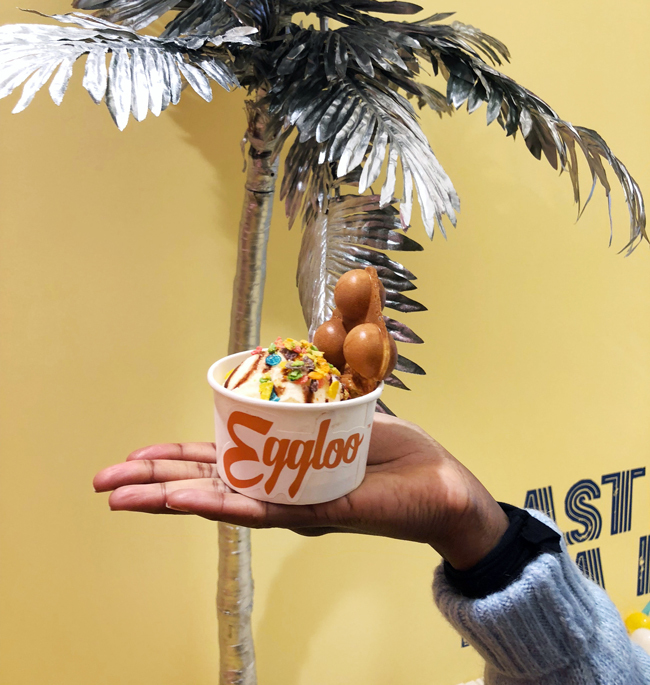 The eggloo looks delish. Really great concept! HaHaHa! I remember the ice cream one. This is so cool! Love the installations.